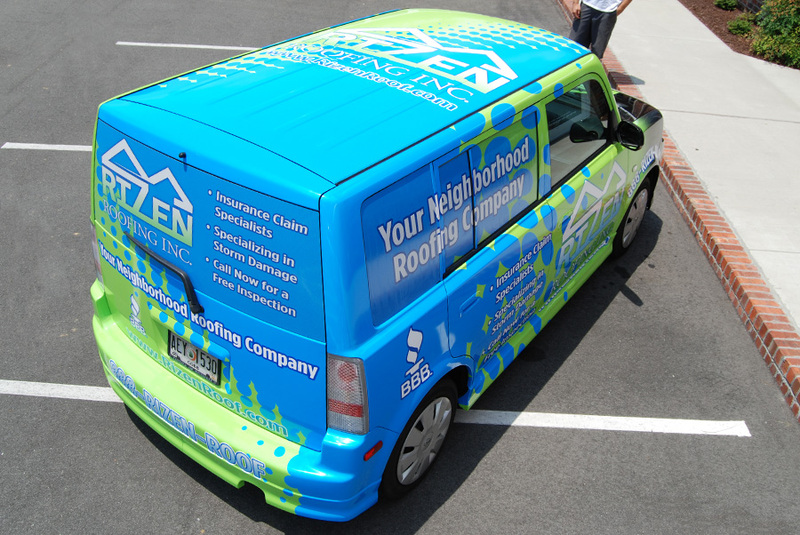 This week’s Project of the Week comes all the way from Atlanta, GA! 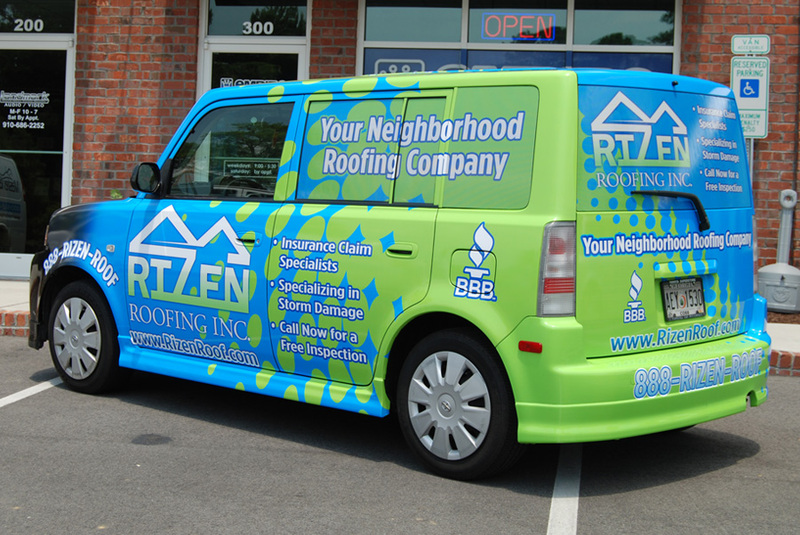 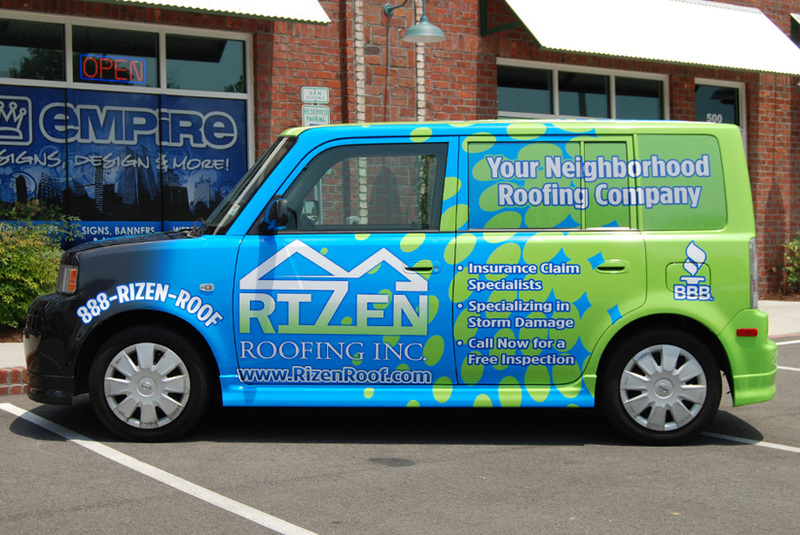 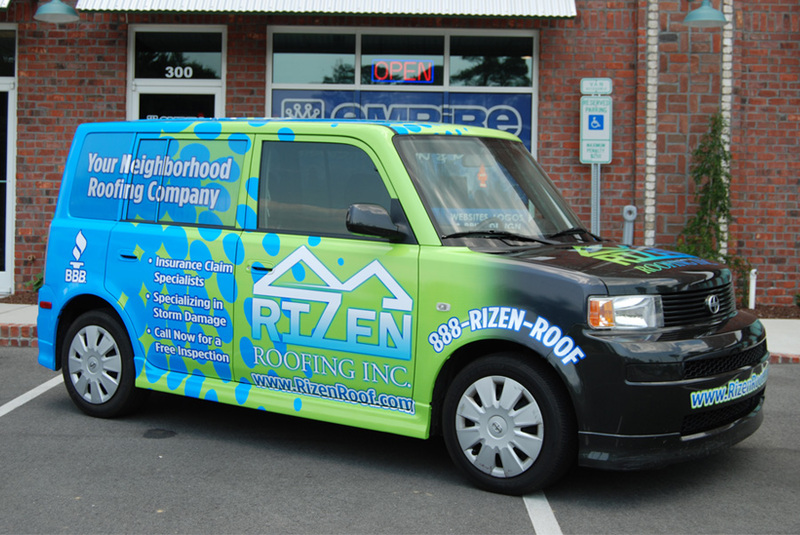 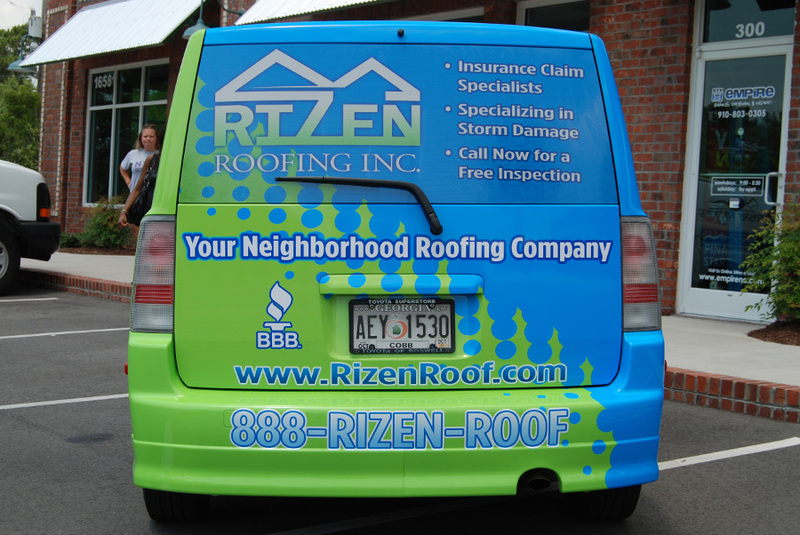 Co-owner of Rizen Roofing, Inc. Joel Greco came to us wanting to help his business stand out from the crowd. 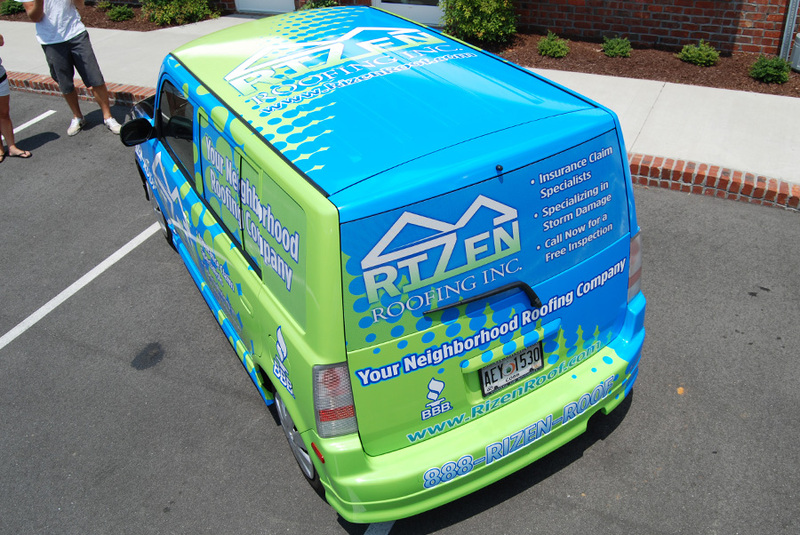 We came up with a colorful, eye catching original vehicle wrap for their ’06 Scion XB featuring a color switching halftone pattern. 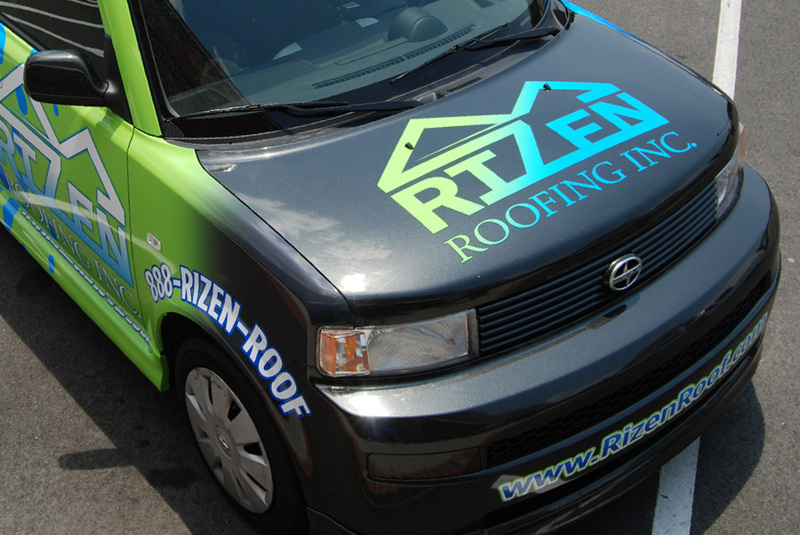 Since this compact car’s roof is easily viewable we decided to wrap the roof as well which helped to tie in the 2 tone pattern of the wrap. 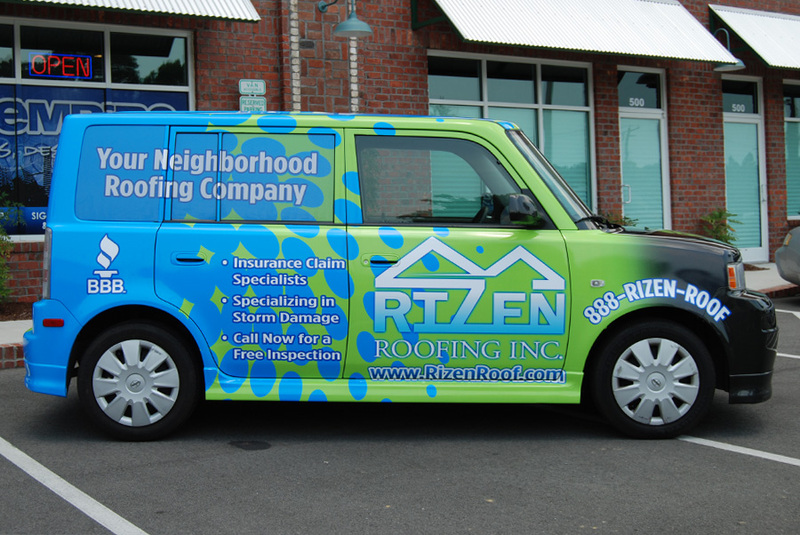 Joel and his partner Jamie were more than satisfied with the final product and were turning heads all the way back to Atlanta! 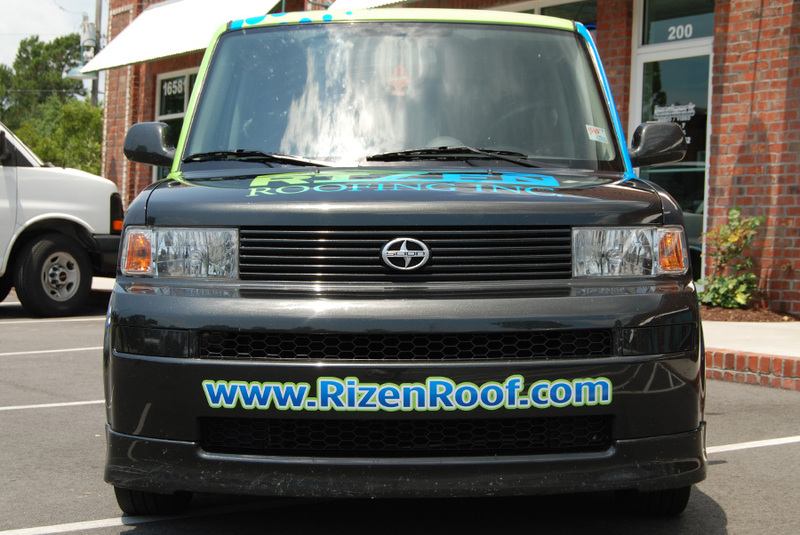 Check back next week for our latest Project of the Week!